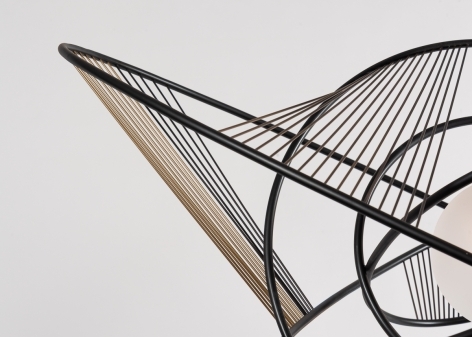 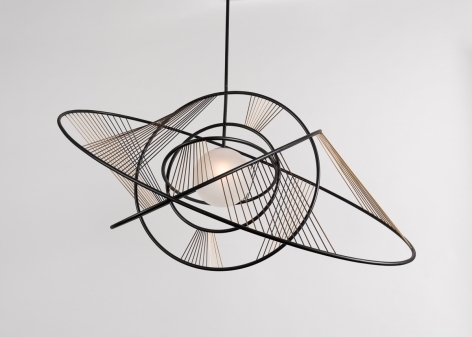 One of Pouenat’s most dynamic pieces, Helios embodies just what the firm has stood for since its nascence in the late 19th century: Uniting a reverence for the past with a comprehension of the future. 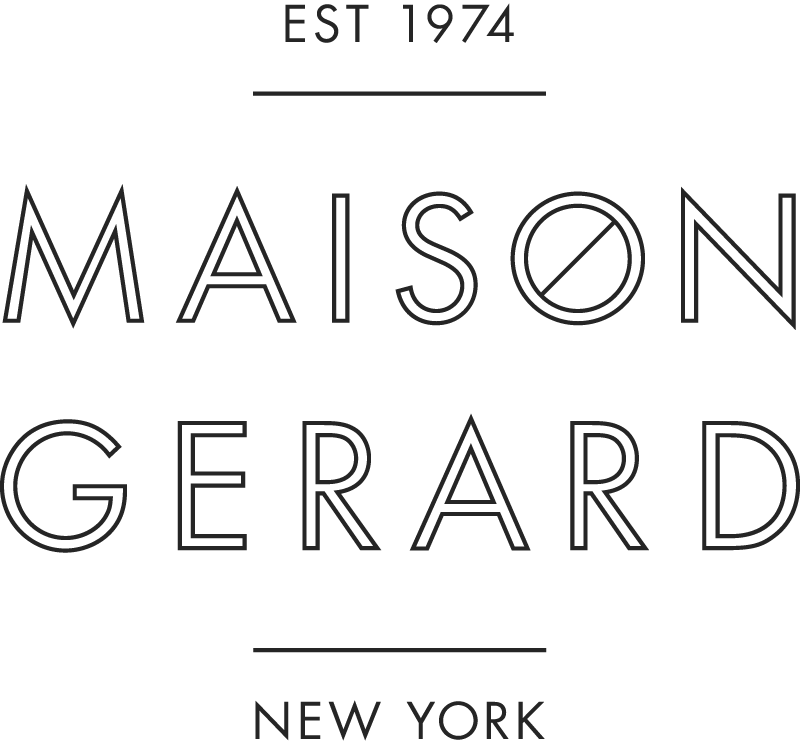 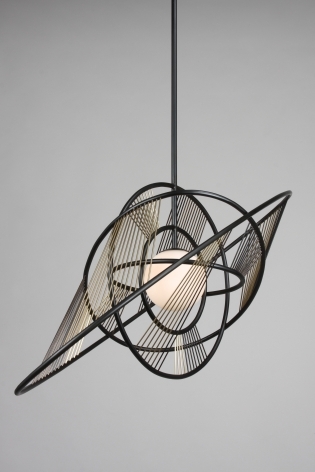 This quality has enabled the firm to mine the best traditions in the creation of brilliant, unique design. 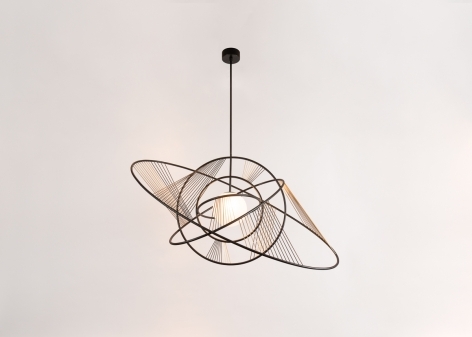 In the case of Helios, ellipses of polished steel encircle a sphere of light like the tracked courses of orbiting planets. 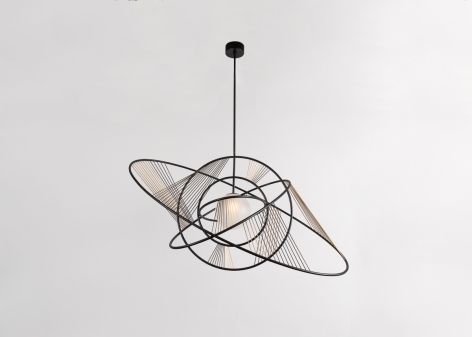 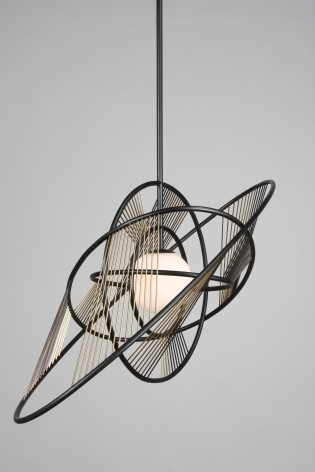 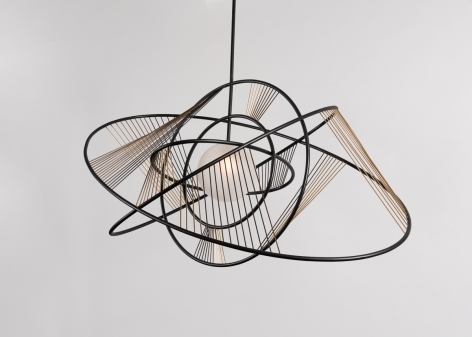 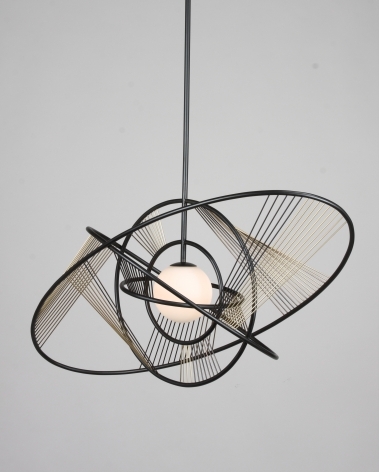 The pendant is engendered with a yet deeper sense of motion by brass rods that connect one orbit to another and, reflecting the orb within, seem to give off a heavenly light all their own. 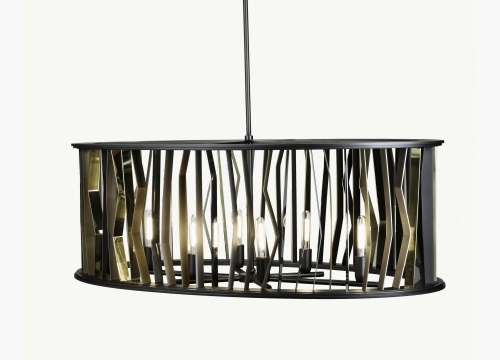 This chandelier is available to commission with bespoke dimensions.